Certain dresses make me pine for sweeter days, simpler times. This is one of them. The nostalgic shape and simple smocking carries me away to a beachside barbeque or patriotic parade... hot dogs and popsicle sticks... the star spangled banner... sparklers on the shore. 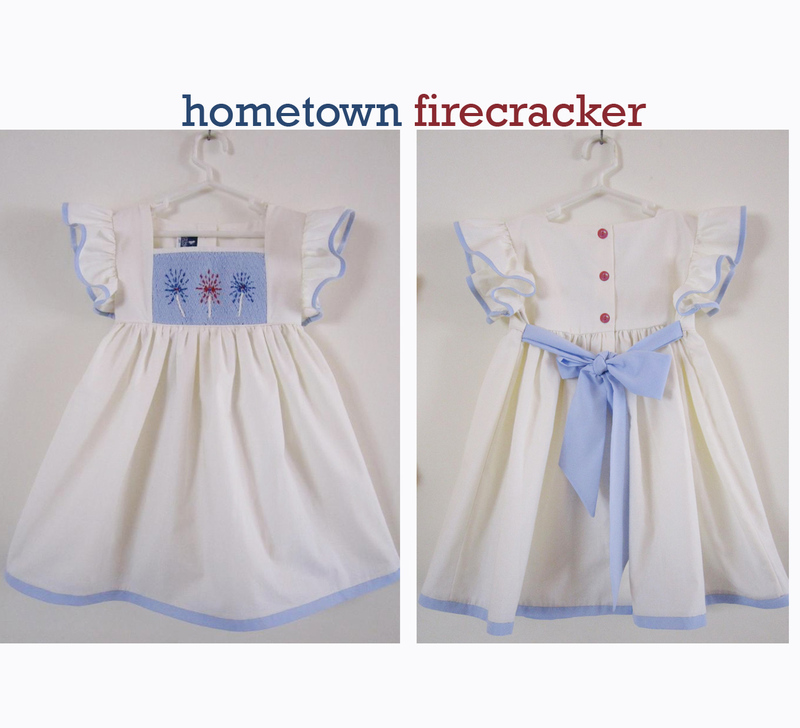 America is beautiful- but your little hometown firecracker will steal the show in this darling number. Love this. It is simply darling. The Fourth of July is a favorite holiday of mine!!! I just love it!! Is it going on sale anytime soon? Thank you!! These will be starting to ship next week. I LOVE July fourth, too. I always think of happy memories at the beach – and yummy BBQ!